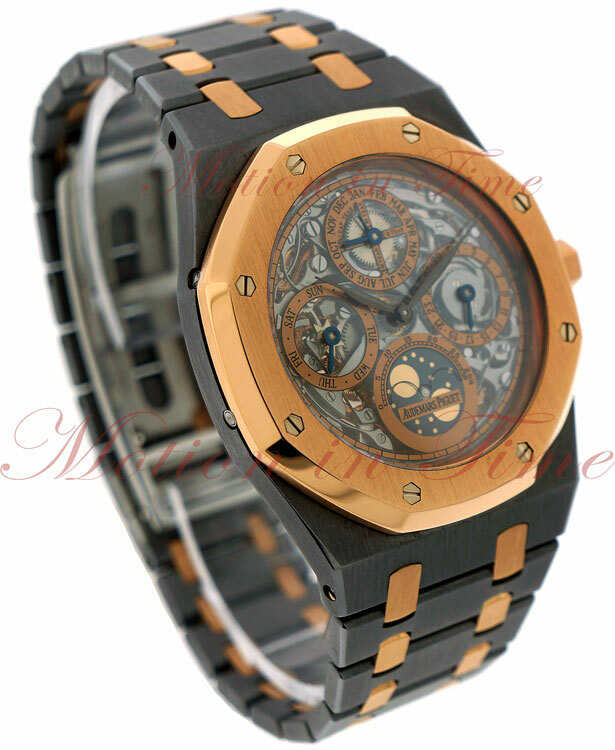 View cart “Audemars Piguet” has been added to your cart. 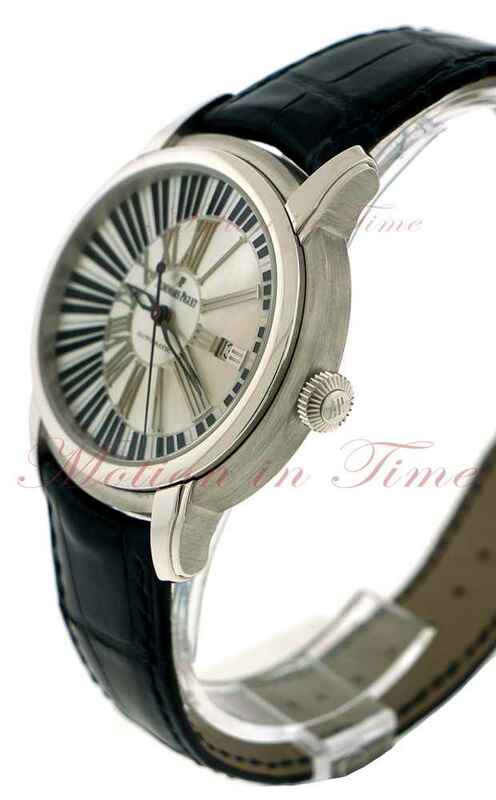 Have you seen this exact watch advertised on another website for less than our asking price? Give us a chance. Call us and let us know who has it for less and we will do our best to beat their price. 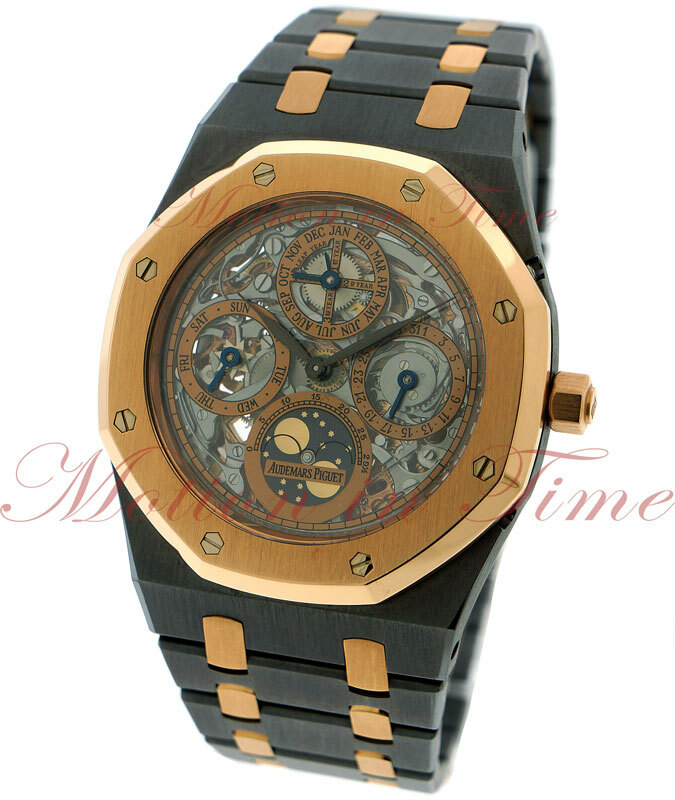 Motion in Time, Inc. specializes in discounted brand name watches, and has been in the Jewelry Industry since 1984. We Buy – Sell – Trade & Service all high-end watches and jewelry. We are located in the heart of the New York Diamond District in Manhattan. Personal or Cashier's Check: We accept personal and cashier checks issued from US banks only. Allow 3-7 days for funds to clear. Receive a discount with this payment method. Wire Payment: Receive a discount with a bank-to-bank wire transfer on watches over $1,500. PayPal:We accept PayPal. PayPal users must be Verified and Confirmed. Please email or call us if using this method. PayPal:We accept PayPal. PayPal users must be Verified and Confirmed. Please email or call us if using this method. Regarding PayPal: We will only ship to the PayPal confirmed address. It is a requirement of PayPal in order to meet their protection policy. By adhering to their safety regulations, we are able to conduct safer business and as a result sell our items at lower prices. If you have any questions or concerns please feel free to give us a call or message us, we will be more than happy to assist you. (If paying with Credit Card, you must be within the United States and your billing and ship to address must be the same) - Photo ID is required to process payment. All items shipped within New York State will incur an 8.875% sales tax. All packages shipped via Motion in Time are fully insured against loss, theft and damage during transit. All packages are shipped with an "Adult Signature" requirement prior to release by the driver. Before signing please inspect the package to ensure it has not been tampered with or damaged. U.S. CUSTOMERS:We offer a seven day return policy from the day of receipt.Returns are subject to a fifteen percent restocking fee (waived for an exchange of equal or close to equal value).Some watches are considered a "special order" in which case the watch is a final sale or has a shortened return policy. Should the watch be considered a "special order" we will inform you prior to shipping.All deposits are non-transferable and non-refundable and will be automatically forfeited on lay-a-ways held without additional payment for over sixty (60) days.Deposits are non-refundable. You may apply it towards another purchase of any kind. Shipments to Alaska, PR and Hawaii: Orders shipped to Alaska, Puerto Rico and Hawaii will be charged an additional fee and are usually delivered within two to three business days from shipping. Sales Tax: NY State deliveries: Motion in Time is a NY State company, we are required by NY law to collect sales tax on all deliveries within NY State. The sales tax rate will be calculated on top of your purchasing price. All quoted prices and actual charges are in US Dollars.Our preferable method of shipping is via FedEx Priority International. All parcels are insured for the full value against loss, theft or damage while in transit. Before signing please inspect the package to ensure it has not been tampered with or damaged. Deliveries outside of NY State: Motion in Time does not collect sales tax on orders shipping anywhere outside of New York State. Please Email or Call us Regarding your international Shipments so we can quote you your shipping cost. Import duties, taxes, and charges are NOT INCLUDED in the item price or shipping charges. These charges are the buyer's responsibility. Please check with your country's customs office to determine what these additional costs will be prior to bidding / buying. These charges are normally collected by the delivering freight (shipping) company or when you pick the item up; do not confuse them for additional shipping charges. We do not mark merchandise values below value or mark items as "gifts". U.S. and International government regulations prohibit such behavior. We reserve the right to use the most secure shipping method and/or company to ship your purchase. Calculated shipping and insurance is an estimate only and may not reflect the actual cost of shipping and insurance. Once we have your shipping address, we can give you an exact cost for shipping and insurance. If you would like this information prior to purchasing, please contact us. This timepiece is covered by the Motion in Time 2 Year Warranty from the date of sale. 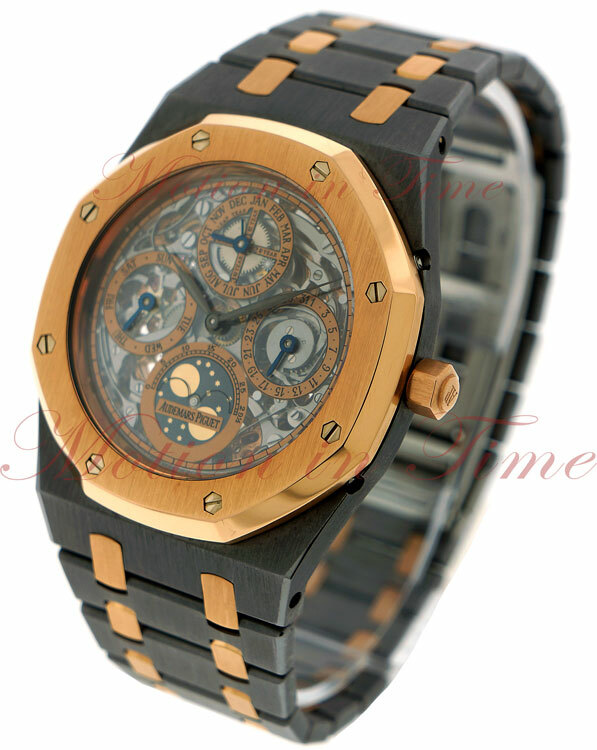 Motion in Time, Warranties all their timepieces for a Full Two Years, from the date of purchase. We provide a Full Value Appraisal from date of purchase. Replacement Valuation & Appraisal is an estimate of replacing value of the timepiece on the date of inspection. Valuation & Appraisal is not a bill of sale. Valuation & Appraisal is not an offer to purchase. Valuation & Appraisal is not an indication of actual market value. Below are warranty details with maintenance and care suggestions ad recommendations to protect your investment. - The Motion in Time Warranty is valid for articles accompanied by the Motion in Time Warranty & Invoice. - The Motion in Time Warranty does not cover work done on the product by anyone other than Motion in Time. - The Motion in Time Warranty is null and void if expired, altered or defaced. - The Motion in Time Warranty does not cover normal "wear and tear". - The Motion in Time Warranty does not cover abuse or misuse. Modifications and alterations void the Motion in Time warranty. 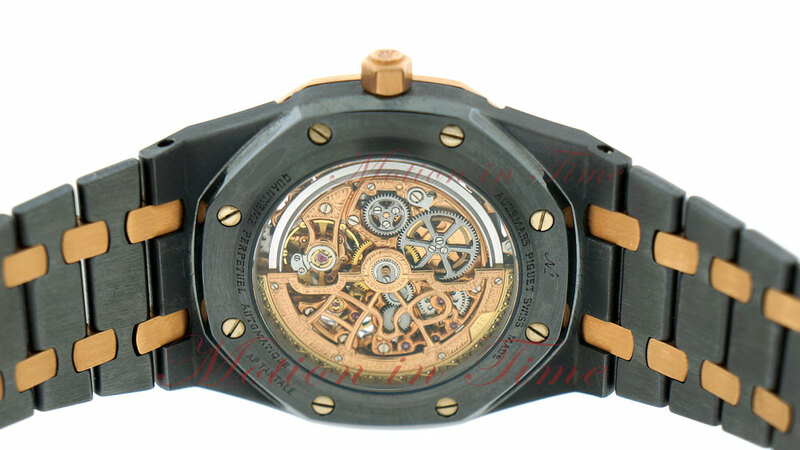 - Mechanical and self-winding watches should be serviced every five years. - Water resistant watches should be tested every 2 years to keep the movement protected from moisture. - Self-winding watches should be wound 40 times before wearing or once a week. - Batteries for quartz watches should be changed every 2 years. Watches are our specialty - it is all we do and we do it well. The Motionintime.com website is dedicated to watches - we don't also sell bags, flatware and toys, etc. We thoroughly inspect the product prior to shipping. We ship securely, fully insured and professionally. Our support and interaction do not end with a sale. We remain just as accessible post sale as we were before and during the sale! Our after-sales support goes above and beyond what you may have come to expect from an online retailer. Our rate of repeat customers is a testament to the Motion in Time shopping experience. Indeed, we have become personal friends with many of our customers. Motion in Time is not an authorized dealer for, or otherwise affiliated in any way with, the brands it offers for sale, including, nut not limited to Cartier, Van Cleef & Arpels, IWC, Officine Panerai, Jaeger-Lecoultre, Baume & Mercier, Vacheron Constantin, Piaget, Montblanc, Roger Dubuis, A. Lange & Sohne, Ralph Lauren and Alfred Dunhill, and we cannot advertise the watches we sell as new. thus, the watches we sell are used, but some of them are unworn. the manufacturer’s warranty will not be honored on the watches sold by motion in time.